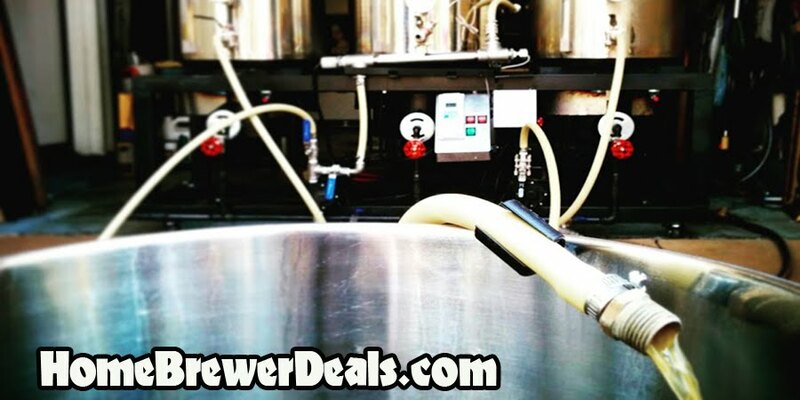 Coupon Code Description: MoreBeer.com currently has a sale going on that will save you $500 on one of their famous stainless steel homebrewing sculptures. MoreBeer makes the very best home brewing systems available and they rarely go on sale. So if you have been looking to purchase one, this might be the time. This is truly the easiest to use all-grain system out there. With nothing electrical to go wrong, simple valves to control flow, easy to view mashtun, and no pumps its just plain easy. The low profile heavy duty stainless steel homebrew kettles are formed in a mold via the use a punch. This means they are made from a single piece of stainless with no welded seams. These beefy kettles then get an added aluminum layer that is capped with another layer of stainless. The added aluminum helps keep the kettle bottom from scorching and allows for easier cleaning. All the included ball-valves are made from stainless steel. Here are some of the features of this MoreBeer 3 tier homebrewing rig.